Colours of Childhood has been edited by D. R. Collins – a practising UK NHS doctor; with the latter role having provided essential first hand experience with children’s medical and surgical needs. This coupled with the fact that D. R. Collins has a special needs sibling, helped to conceive the idea for Colours of Childhood. Colours of Childhood has been inspired by a belief that we can make a difference for all children. They are the most deserving and without them there would be no tomorrow. For some children, health problems, educational issues and troublesome social circumstances become hurdles which dominate childhood. Consequently, a time of life which is supposed to be happy and carefree, can become plagued with difficulties. Some of these children are unable to reach a ‘normal’ adult life. A vast number of individuals, charities, organisations and governments, all over the world, dedicate their efforts to children’s causes in an attempt to provide varying levels of support and regulation. Without such devotion society would be perceived as unjust. The registered charity Willing and Abel is one example of the many commendable organisations that commit themselves to helping children globally. The underpinning philosophy of Willing and Abel is ‘See the One, Love the One’. Although it cannot possibly cope with every needy child in the world, it shows its love and practical help by organising specialist surgery for afflicted children made known to the charity. Colours of Childhood is a testament to the importance of childhood and the support that can benefit those in need. 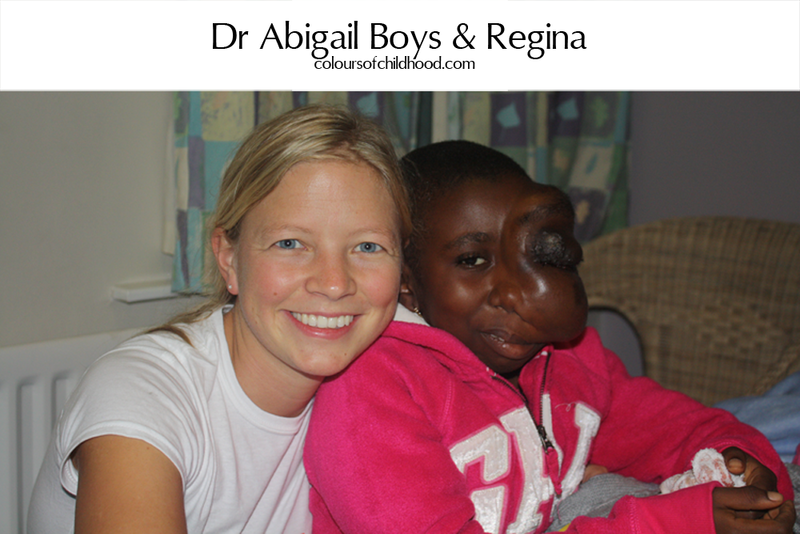 It uses the charity Willing and Abel as a model organisation helping children in need, for example, Regina – a young girl from Ghana who had life-changing facial surgery at The Royal London Hospital, United Kingdom. This illustrated anthology includes the written thoughts of over one hundred contributors from all walks of life, including religious leaders, royalty, actors, sports personalities, politicians and musicians, to name just a few. Their generous messages are accompanied by over one hundred thought-provoking poems created by UK school children reflecting on childhood, charity or the work of Willing and Abel. Our collective attitudes and actions can change the life of a child forever, whatever our own personal background and circumstances. I hope that Colours of Childhood will become an inspiration, influencing the lives of many children worldwide.